Six students from The Lawrence School, Sanawar, have successfully scaled the world’s highest peak, the Mount Everest (8,848 metres), on Tuesday. These students have set a new record of being the youngest team to scale the Everest. The team members were Privthvi Chahal, Ajay Sohal, Raghav Joneja, Shubham Kaushik, Fateh Brar and Guribadat Singh. However, seventh meember of the team Hakikat Singh was reported to hold back after climbing 27,600 feet as there was some problem with his oxygen cylinder. Six boys are 16 years of age and Raghav Juneja is of 15 years, making him the youngest Indian to scale the Mt Everest. Prior to it, Arjun Vajpai holds the record. With this feat, the Lawrence School Sanawar is the only boarding school in the world to unfurl the Tricolour and the school flag atop the lofty peak. The Lawrence School Sanawar has also become the first school worldwide to send a team to the Mt Everest. The team – Sanawar Everest Expedition 2013 – led by Col Neeraj Rana (retd), former principal, Himalayan Mountaineering Institute (HMI), Darjeeling, was shortlisted among the volunteers after a grueling basic mountaineering course at Himalayan Mountaineering Institute. School headmaster, Praveen Vashisht, congratulated boys and said that the conquest of the Everest was not a mere step, but a giant leap for Sanawar. Himachal Pradesh Chief Minister Virbhadra Singh has also congratulated these students. Chief Minister said that the feat has not only made Lawrence school proud but had also brought laurels to the State. 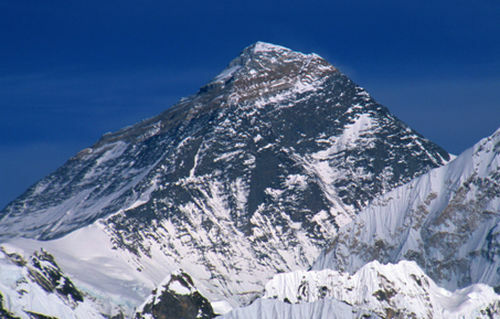 He said that the Lawrence School team was the youngest to scale the highest peak of the world. He also congratulated the Headmaster and staff of the Lawrence school besides the parents of the children, who were the motivational force behind them. The team of Lawrence School was flagged-off by the Chief Minister on 2 April from Shimla. Virbhadra Singh also felicitated Rajat, Khimi Ram, Ashwani Kumar and Kami Dawa of Himachal Pradesh, who were a part of nine member NCC expedition, which scaled Mount Everest recently. He also congratulated the parents and teachers of these boys for the feat.